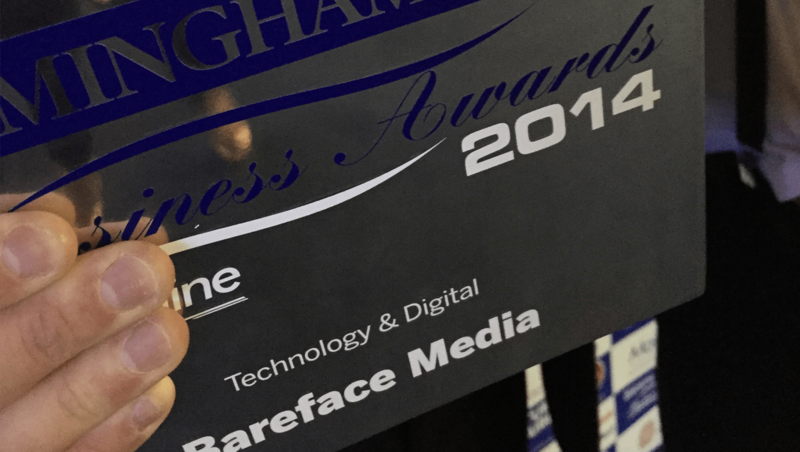 Bareface Media win the Technology and Digital category at the Birmingham Post Awards 2014. We picked up the top award in the Technology and Digital category, we were up against some tough competition from some very talented local businesses. It was an amazing night as the team picked up the award in front of 800 of the cities top business community and we celebrated well into the early morning. We feel that this award has put Bareface on the map in Birmingham and is a fantastic confirmation of all the hard work put in y the team over the last 7 years. "Winning this award is more important to us as a team than any previous awards because we are Birmingham people. To achieve recognition from the city that we are hugely proud of is one of our greatest achievements."